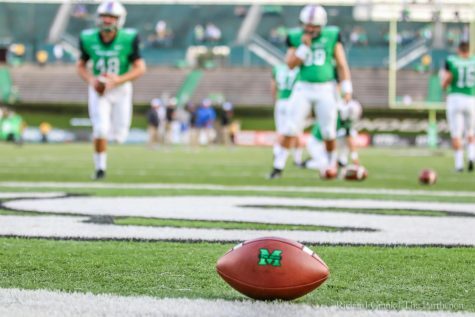 Redshirt freshman quarterback Isaiah Green (white jersey, left) prepares to take a snap under-center for the Herd next to redshirt sophomore running back Tyler King (white jersey, right). 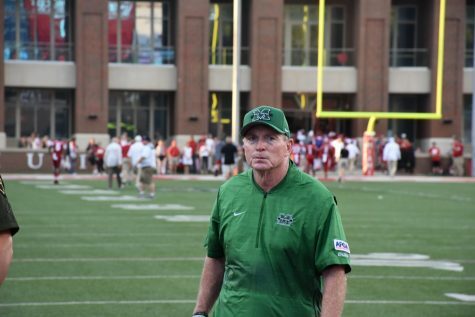 Green’s youth is aided by an experienced backfield and receiving corps. 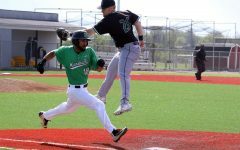 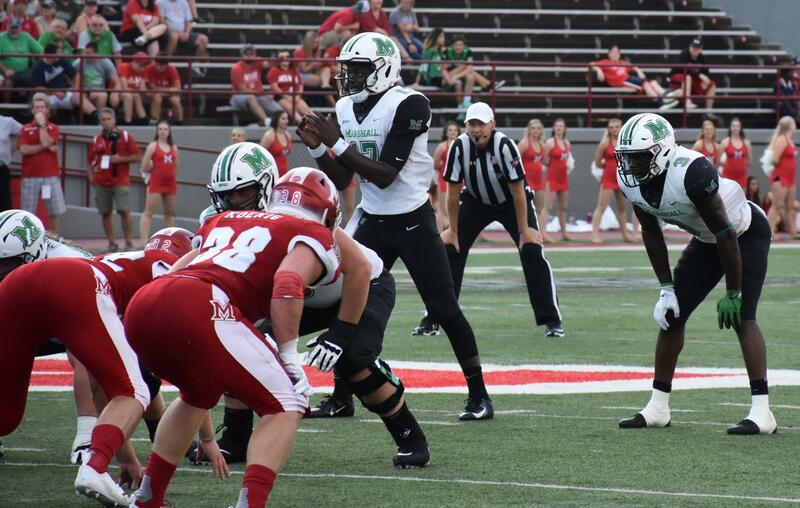 When Marshall University redshirt freshman Isaiah Green took the field Saturday at Yager Stadium, it marked the first time since 2011 that head coach Doc Holliday started a freshman quarterback in the Herd’s season opener. 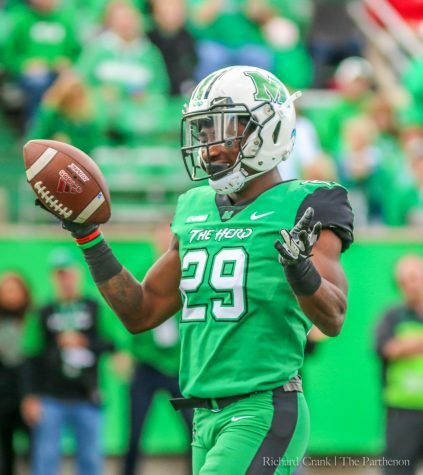 The last freshman to do so was Rakeem Cato in 2011. 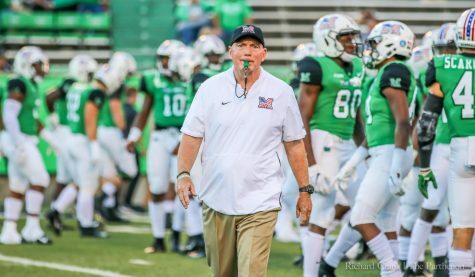 Marshall’s former record-setting quarterback led the Herd to a 2014 Conference USA Championship and bowl wins in 2011, 2013 and 2014. 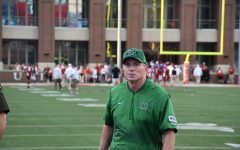 Holliday noted the similarities in his current and former quarterbacks. 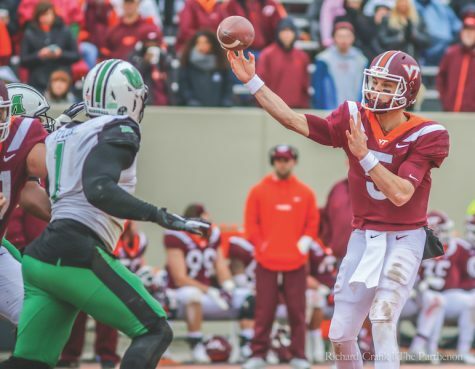 Green was announced as the starter one hour before kickoff against Miami, as he won the quarterback battle over graduate-transfer Alex Thomson. 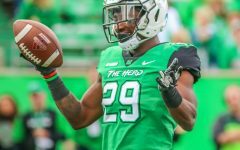 Green, a 6-foot-2, 202-pound native of Fairburn, Georgia, proved his worth in his debut as he completed 24-of-37 passes for 272 yards, two touchdowns and no interceptions. 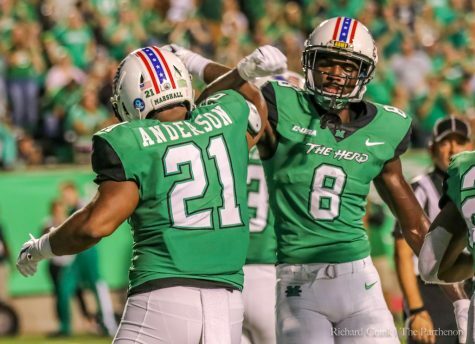 Green also added 22 rushing yards on eight attempts, leading the visiting Thundering Herd to a 35-28 win against former Mid-American Conference foe Miami (Ohio)—its fifth-consecutive win over the RedHawks. 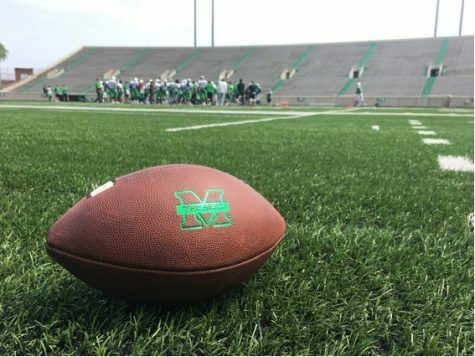 Green is the first Marshall quarterback since Chase Litton’s 2015 win over Charlotte to post a 65 percent pass completion percentage, more than 250 yards passing, two or more touchdowns and no turnovers. 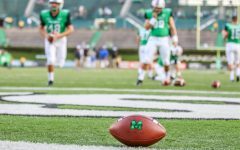 Though it may have been a surprise to see Green announced as the starter, he had the most experience with the starting offense entering the weekend. 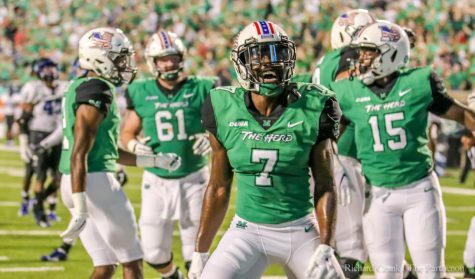 Green saw the bulk of the reps with the starters throughout the spring, while Thomson was still at Wagner, then got nearly all the first-team snaps during fall camp. 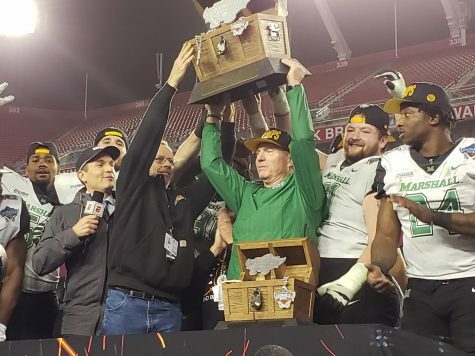 Green connected with Brady nine times for 116 yards and both passing touchdowns, including a 21-yard score that proved to be the game-winner. 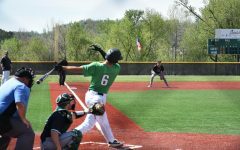 Following his debut, Green said he’s excited to play at home for the first time in his career. 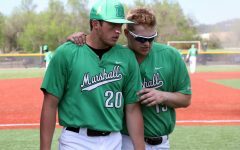 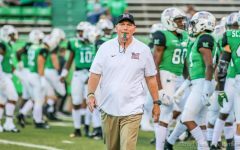 “We had a good fanbase here tonight, but it’ll feel even better to play in front of a whole stadium full of Herd fans,” Green said. 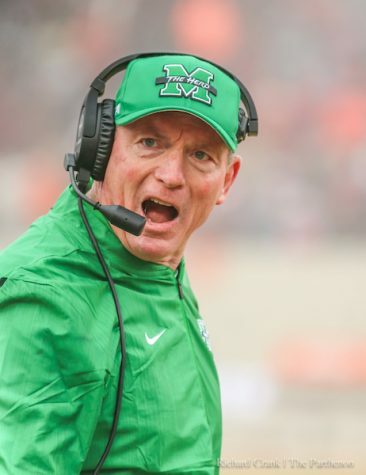 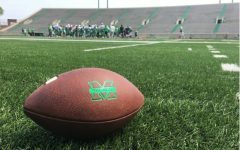 Marshall looks to start the season 2-0 for the first time since its 2014 conference championship season Saturday evening at 6:30 p.m. against Football Championship Subdivision opponent Eastern Kentucky.